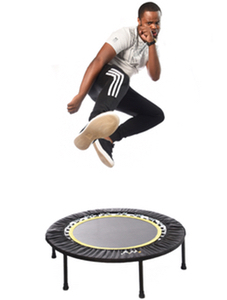 reboundsa.co.za: Benifits the rebounder offers from a physical aspect . The canvas and springs absorb 87% of the impact – and ASSIST in helping you spring back up again. 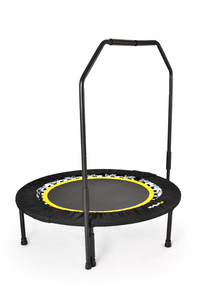 You might imagine that this could be non-beneficial because you are effectively being “helped” to bounce by the springs. On the contrary. Both Albert Einstein and NASA found that the cells don’t recognise this assistance, they only recognise the “double-impact” of your weight at the lowest point of each bounce (You and your clothes weigh double at this point). Furthermore, the G-Force on the proceeding smooth “ascend” of the bounce offers immeasurable benefits to the cells of the body (remember, you are pulling away from, and resisting one of the most powerful forces in our universe). 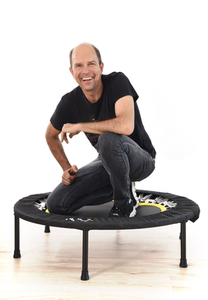 Then, when you are on the “top” of the bounce – your body and all your cells are momentarily weightless (there is no pull at all – your cells are in rested limbo). Less than ½ a second later, they are experiencing DOUBLE gravity. The result; each and every cell in your body is being gently “squeezed” 100 times a minute. This flushes toxins out – and lets nutrients in.